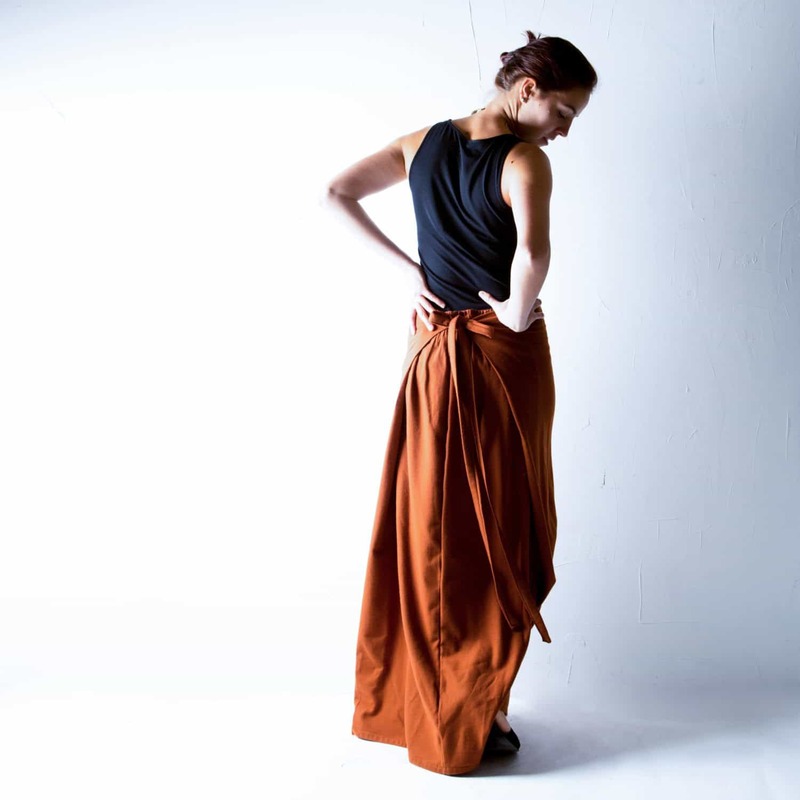 This floor length wrap skirt has a clever design, reminiscent of traditional Thai skirts. 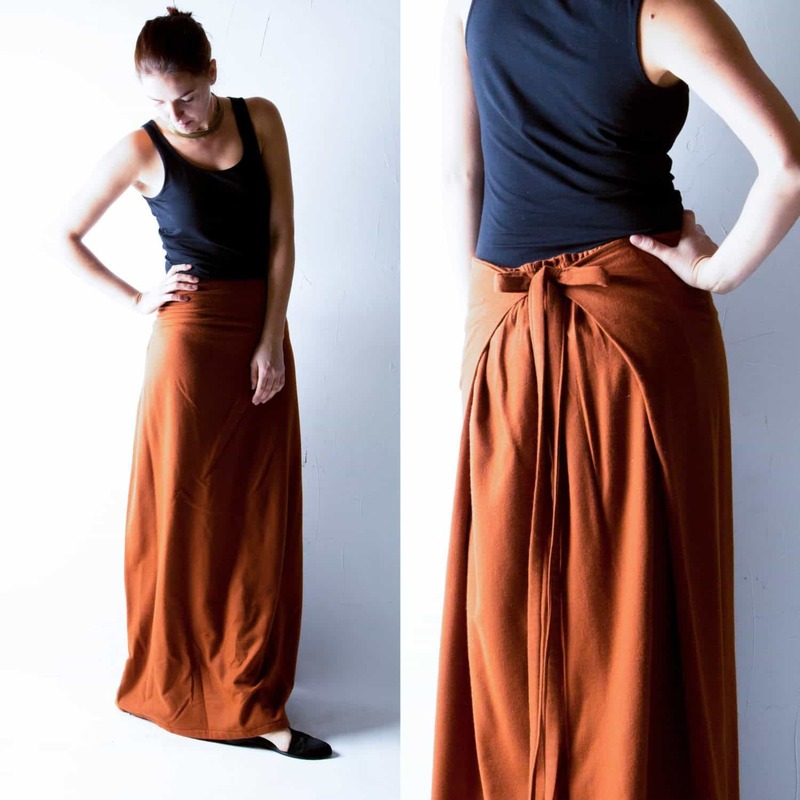 This floor length wrap skirt has a clever design, reminiscent of traditional Thai skirts. Falling smooth and straight in front, the excess material is pulled to the back in big folds, which create a very interesting architectural drape. The wool fabric is soft and light, in a beautiful rust orange. It has two side flaps and elastic gathering in the back, for an easy, comfortable fit. The long side ties can be tied to the front or to the back to create the draped folds visible in the sample pictures (tied to the back there). The two long ties can wrap once around the waist, or be tied in a bow right away. Dry clean or hand wash, cold and hang to dry. I ordered a few items from Lucia. Everything is beautiful and unique and I will buy clothes from her again! Also, she is very quick to reply to any messages and is super friendly. AND makes clothes to your measurements! Well worth it!!! I keep purchasing these skirts in every color from larimeloom because they are outstanding! The craftsmanship is perfect, they fit perfectly, and they are so attractive! As soon as more money comes in, I will be back to purchase another one! Lucia was quick and very helpful in our communications. I bought two halter tops to wear as a nursing mama and I LOVE them. Beautiful fabric, simple and elegant and easy to feed my bubba girl. I also bought a wool skirt. It's beautiful. And I can say these items will go the distance in my wardrobe for years!!!!! I will be a repeat customer for sure. Beautifully made skirt! As pictured. Love it! I ordered two wool maxi skirts. They fit beautifully and are well made. 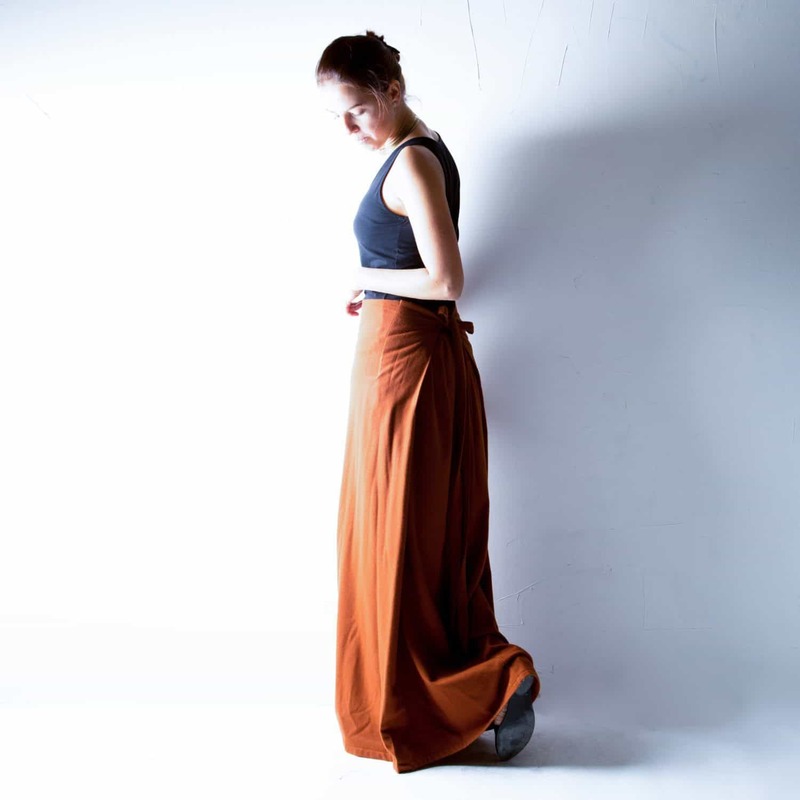 The rust color skirt has a soft touch. The grey one is perfect for work. I love wearing them both!